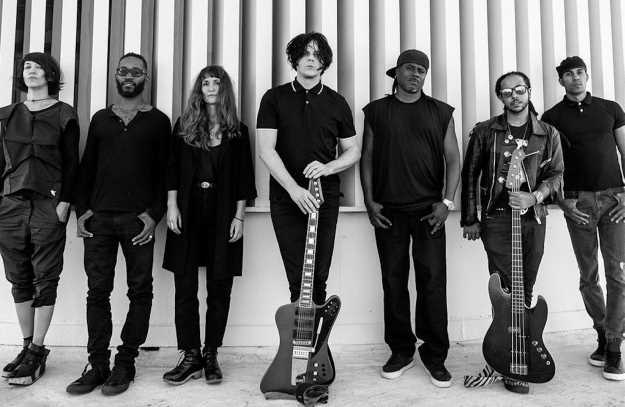 Modern-day rock icon Jack White is back in the studio working on his follow-up to his 2014 album, Lazaretto. The former White Stripes, Raconteurs, and Dead Weather man has been out of the public eye for a few years, taking a break from performing and recording. In this time, White has still kept busy, taking on a number of projects including opening a record-pressing plant, working on the PBS documentary American Epic, and running his Third Man Records label and brand. White has been a champion for “real” music over the past few years, using Third Man Records as a front to re-establish vinyl as the musical medium of choice. That battle has paid off, as the sales of vinyl records have skyrocketed alongside White’s efforts. While White’s activism has been noble, many fans simply want to hear more of his uniquely emotional, super-charged rock music. Thanks to a tweet from the Third Man Records account, it’s now confirmed that White is in a studio in Los Angeles with several other musicians preparing for a new album. A post by Neal Evans of Soulive also confirms that he will be featured on this new album, in addition to Louis Cato. This is very exciting news, as White is one of the best song writers and guitar players in the world. His output of high-quality material is almost second-to-none, and his live show is consistently rated as one of the most electrifying. While no other information on the forthcoming album has been revealed at this time, we look forward to learning more about White’s newest music, and we hope that it results in a tour! Stay tuned for more info as it’s released.